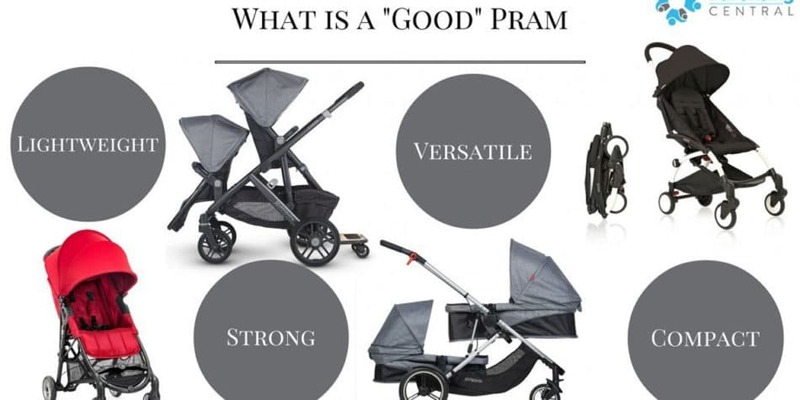 What Makes A Pram “Good”? I’m a bit of a pram enthusiast, so I often get asked to recommend a “good” pram, or even just what makes a good pram? 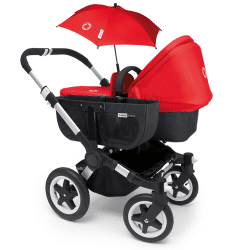 There is no single answer to that, however there are some key features to look for and questions to ask when looking for a great pram that’ll suit your needs. This is usually the first thing I want to know about a pram. What does it weigh and what is it’s weight capacity? These two numbers won’t tell me everything about the pram, but they can tell me a lot. My very loose rule of thumb is I want a pram carry at least twice the weight of the pram itself. So, a 10kg pram needs to have at least a 20kg weight limit to keep my interest, because if I’m pushing a pram up a hill I want most of the weight I’m lugging to be my child, not the pram itself. 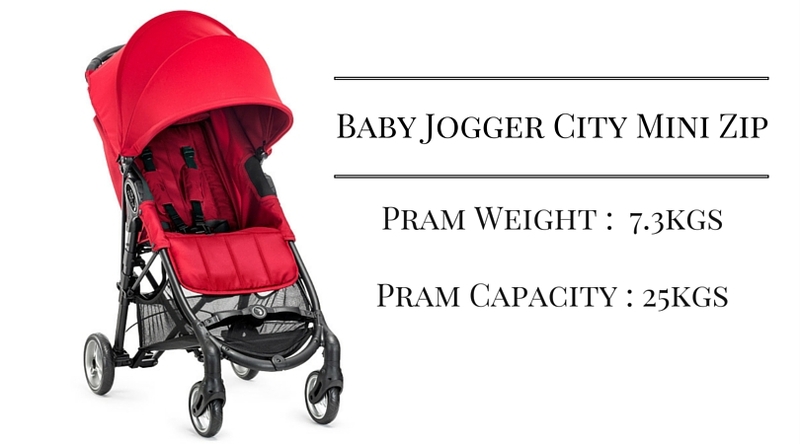 Whereas a lighter pram would be acceptable to have a lower weight limit. UNLESS the pram has some other significant redeeming features, like the 4Moms Origami robotic pram weighs 15.5kgs and only has a 17kgs capacity…BUT it’s a ROBOTIC pram! 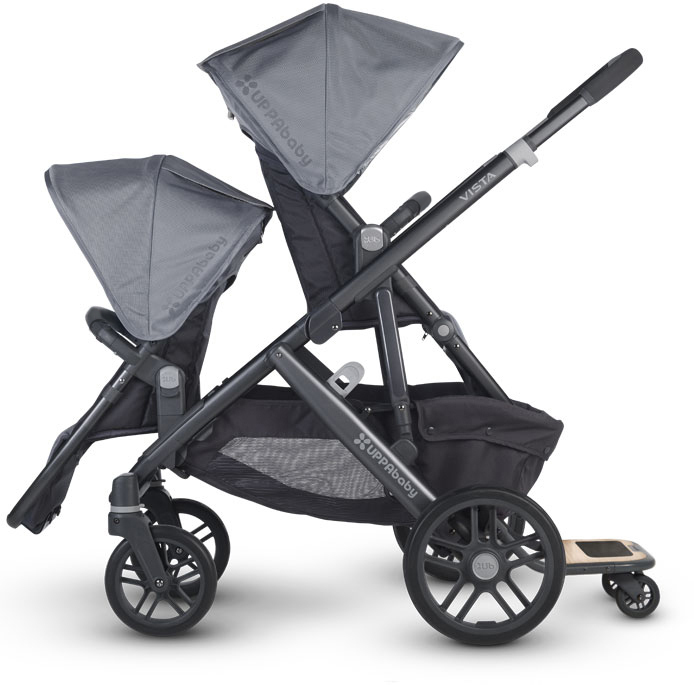 Mountain Buggy Duet is just 63cms wide! 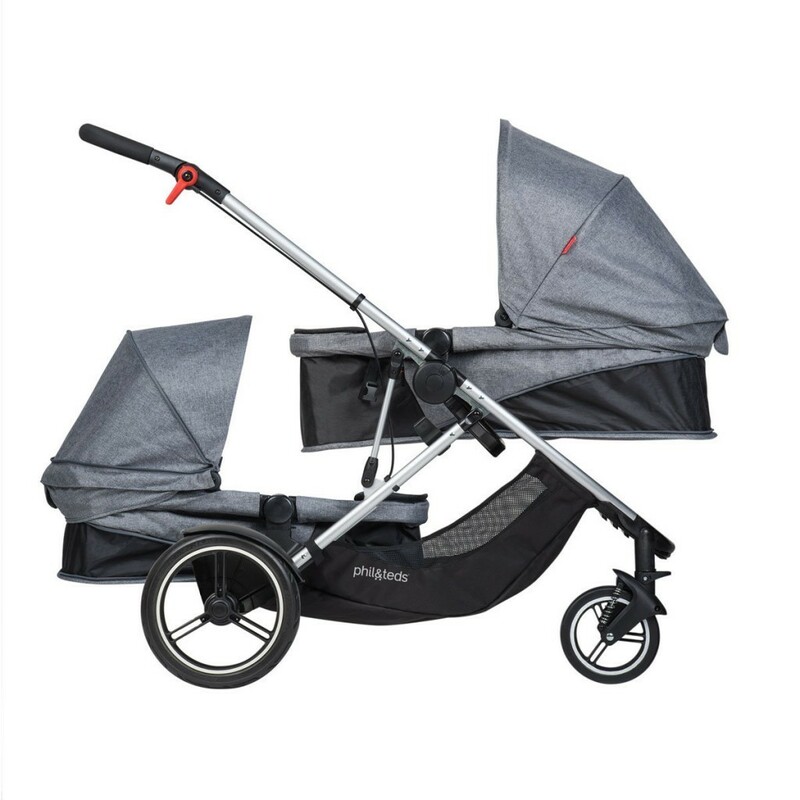 Another important figure to look for is the pram width; approximately 60cms is a good width for a single or inline tandem pram. For doubles keep in mind that the most common door width in Australia is 83cms, (or even better, measure your own front door!) and aim for prams that are narrower than that. Both seats on the Phil and Ted Voyager convert into bassinets! There’s nothing more frustrating when buying a pram than spending hundreds (Or even thousands!) on a pram for your new baby and finding out you need to fork out for additional attachments to put your baby in their pram right away. What you’re looking for is a pram seat that lays flat when reclined, or a seat that converts to a carrycot. Alternatively a package where a carrycot is included in the total cost, but it’s ideal to have that newborn suitable seat in one unit. 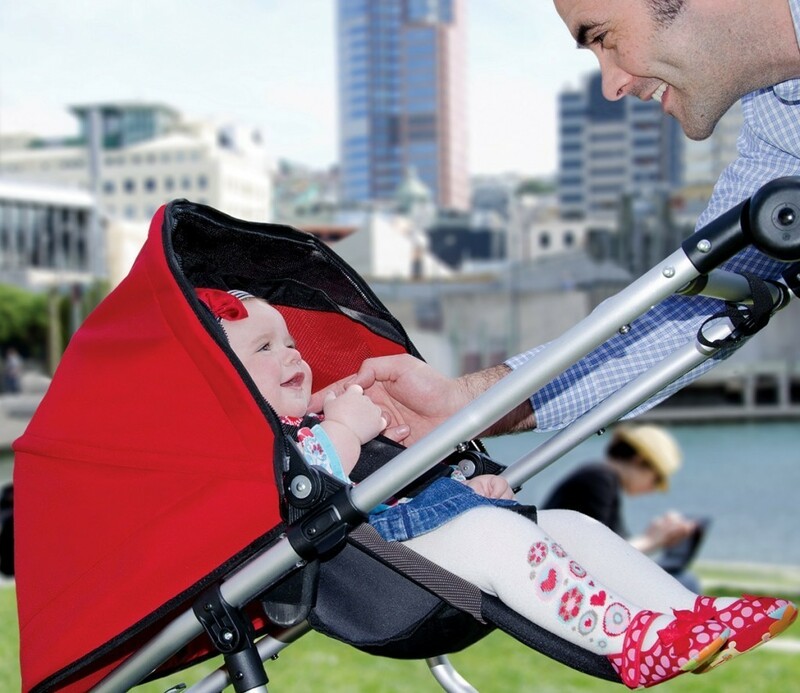 Most strollers and forward facing prams will be able to lay back without any extra attachments, but this is something to be mindful of especially when buying prams with reversible seats. Mountain Buggy “face to face” attachment. I personally have a huge preference for prams with reversible seats. 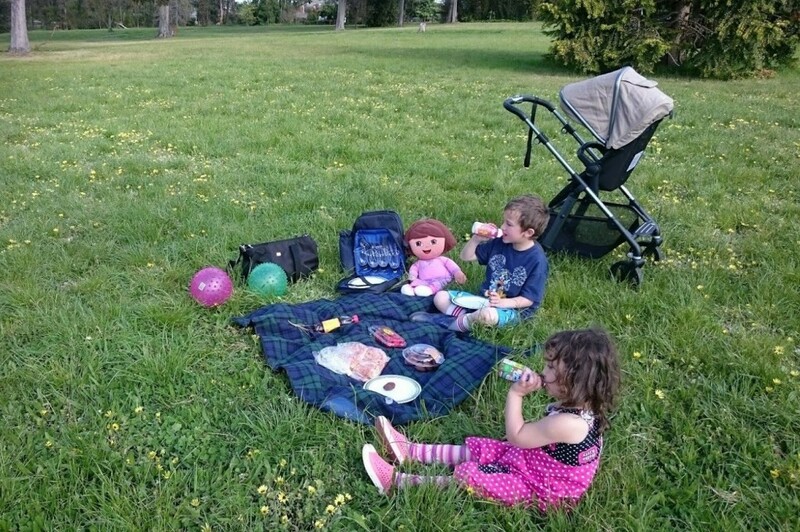 I did not realise how important this feature would be to me until I had my baby; I was constantly having to stop and check in on him as a baby, and then even as toddlers both of my children appreciated the option of facing me while we went for a walk. Be mindful not all reversible seats are suitable for older babies and toddlers – for example the Mountain Buggy “face to face” attachment only carries babies up to 9kgs. All this fit in the Silver Cross Pioneer! I like big baskets! With a full sized pram I expect to be able to put a large nappy bag and a handbag into the basket. 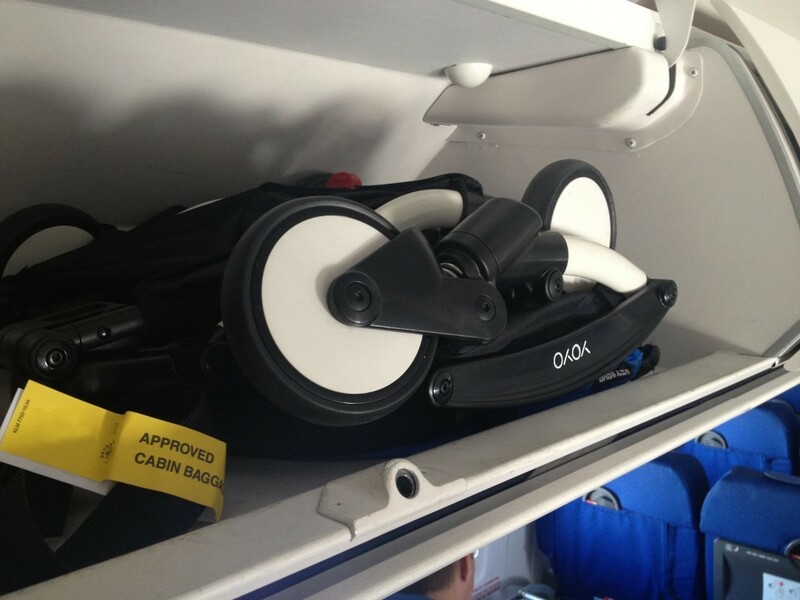 It’s also a good idea to test out how easy it is to take a bag in and out of the basket, especially when the seat is fully reclined – or has a carrycot attached – as this is when typically you’ll have the most trouble accessing the underside of the pram. For a smaller pram or travel stroller, I’d still like to see an accessible pocket, and/or a small basket underneath. Uppababy Vista can take up to 3 children! Whenever I’m reviewing a pram this is the first question anybody asks me; Can it take a second seat? Because it is something that is well worth taking into consideration if you’re planning to have another baby in the next 3 years as there may be time where having that second seat as an option would be hugely beneficial. When choosing a pram that can take a second seat give some thought to what configurations are possible with the seats and also does the main and second seat have different weight limits – and how that might impact how you use the pram. Baby Zen Yoyo is so compact it fits in the overhead luggage on a plane! What I love with a pram is when folding it is so straightforward it’s practically intuitive. You don’t really need someone to show you how to do it; you look at the pram and it makes sense – and can be completed in a couple of simple steps. Fiddly preparation, multiple buttons, levers and maneuvers to complete the fold, unless the pram as A LOT of other things going for it, will put me off. Whereas something that is quick and simple will get a big thumbs up. Then it’s important to make sure that the pram will fold down small enough to suit your needs – will it fit in your car boot, or wherever you plan to store the pram when not in use? 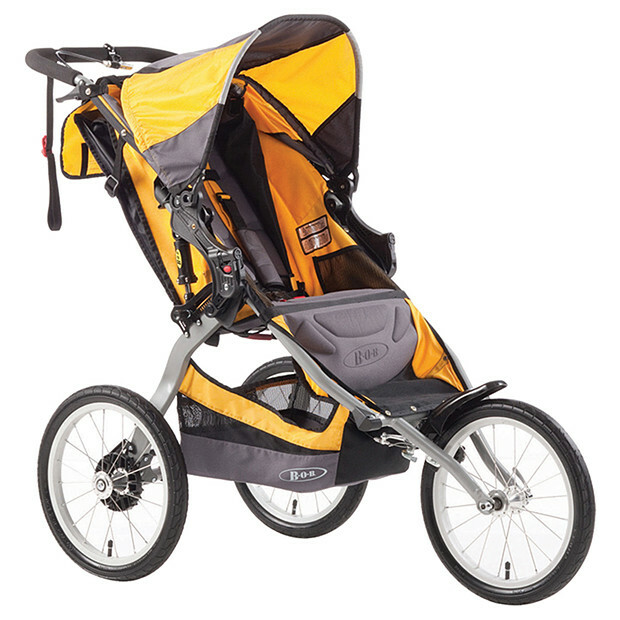 Britax BOB Ironman has 16 inch wide air filled tyres! The size of the wheels, and also what they’re made of, will make a big difference to the ease of pushing. Large wheels are going to give you a smoother ride on all terrains and also be appropriate for jogging, whereas smaller wheels can be more maneuverable on flat tight spaces – such as shopping centres or airports. Another consideration is air filled tyres will generally improve the performance of the pram, however you will need to carry a bike pump or even a spare tube, in case the tyres go flat! So, it’s a balance between convenience and comfort. Included accessories; like a rain, insect and sun cover. Handy little pockets, especially those that zip or clip down for holding important items like keys and phones. Expandable hood – for all weather protection. Adjustable handle height, especially for parents with significant high difference. “Peekaboo” windows in the hood. Colour options, if you’re looking for something brighter or a bit different. Removable seat liner for baby’s comfort and support. Matching accessories, usually sold separately, such as nappy bags, parasol, toddler “skateboard” etc. I hope that helps! If you have any questions please feel free to leave me a comment below and I’ll do my best to answer it!